This funny little creature came in as a stray with several other Lab X type puppies, at our Assumption Parish location. He is quite the character and fearless! 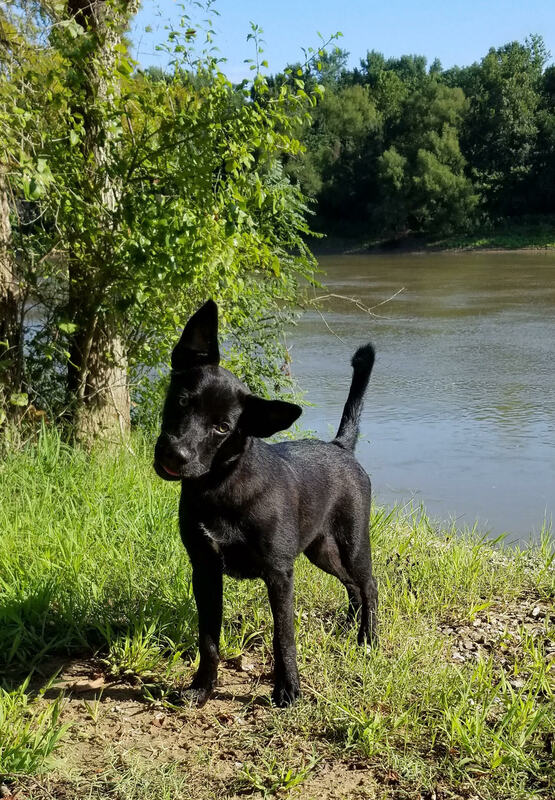 At this time, “Midnight Howls” (his prison name…hahaha) is a part of the Arkansas Paws in Prison program and is going thru their 8-week training program. Once completed with his schooling, he will be available for adoption thru Villalobos Rescue Center (but feel free to apply now). Midnight Howls is a funny, silly and goofy little boy. Oh…and yes…those ears are for real. If you are looking for a great family dog this fluffy little black bear might just be the guy for you. If you would like to meet him prior to filling out an application, we can make arrangements for you to visit him at the prison and see his training in action. From the woods of rural Louisiana to a prison in Arkansas…this guy has already become quite the adventurer!